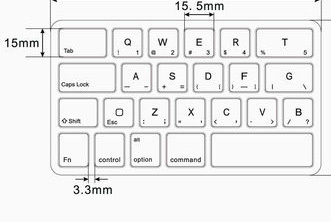 Keyboard sizes are categorized by the number of keys on the keyboard, and then the presence of duplicate keys, such as separate numeric keyboard, for convenience. The number of keys on the keyboard may affect how you access one function: by subsequent or simultaneous keystrokes (with modifier keys, such as Alt, Ctrl, Shift, Fn), or multiple pressing of a single key. Another factor that one can determines the size of a keyboard is the size of each key and/or the spacing between keys. Keys from a full-size keyboard has a 15.5mm x 15mm size, and has the key spacing (or key travel) around 3.3mm to 3.8mm. A full-size keyboard has alphabetic characters keys, punctuation symbols keys, numbers keys and a variety of function keys, such as: Home, Mail, Volume Up, Volume Down, etc. Normally, the Shift key on the left will be smaller than the Shift key on the right. The Enter (or Return) key may shaped differently on each keyboard, and make room for other keys. One feature make full-size keyboard distinct from other keyboard sizes is the numeric pad on the right side of the keyboard. Full-size keyboard is suitable for all purpose and normal user. Tenkey-less keyboard is, well, tenkey-less. 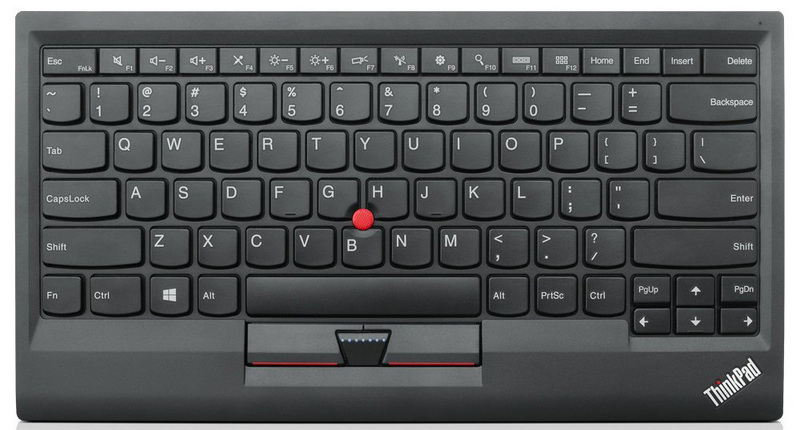 The tenkey-less keyboard is the full-size keyboard, minus the numeric pad on the right side but still retain the arrow keys and function keys. Many people doesn’t require the numeric pad (programmers for example) and prefers simplicity will choose the tenkey-less keyboard over the full-size keyboard. Also, without the numeric pad, the keyboard will be lighter, and easier to transport, not to mention it will take less space for the keyboard. People who do right-handed mousing will benefit greatly from the tenkey-less keyboard, because the distance to travel between keyboard and mouse is now much shorter. Compact keyboard usually has much smaller gap between keys (less than 3.3mm), and keys are smaller (less than 15mm x 15mm) compare to normal keys. Also, compact keyboards sacrifice many function keys for the sake of smaller keyboard, such as: Home, End, Page Down, Page Up, etc. Arrow Keys normally will be place right under the right Shift key, if not grouped into other keys. Choose full-size keyboard if you prefer the convenient numeric pad and/or a lot of function keys, and you don’t might reaching out for your mouse. Choose a tenkey-less keyboard if you reach for your mouse a lot and or you want to save space on your working desk, and you don’t use numeric pad. Remember, there are external numeric pad, such as Jelly Comb Numeric Keypad. Choose a compact keyboard if you don’t mind the missing function keys, and/or you want to travel with your keyboard, and/or you want to save a lot of space on your working desk.